One of the sterling highlights of our debut MLUSA last year involved tequila sunrises, cumbia-meets-deep house tunes, and mysterious characters in Day of the Dead makeup. No, we aren’t fooling you into thinking we were in Mexico! This everlasting impression was none other than Sin Salida, meaning “no exit,” party. The collective behind that one-of-a-kind experience will return this year. However, this time the creative group is bringing us a Japanese-inspired shindig dubbed as Owari No Nai (which also means “no exit”). 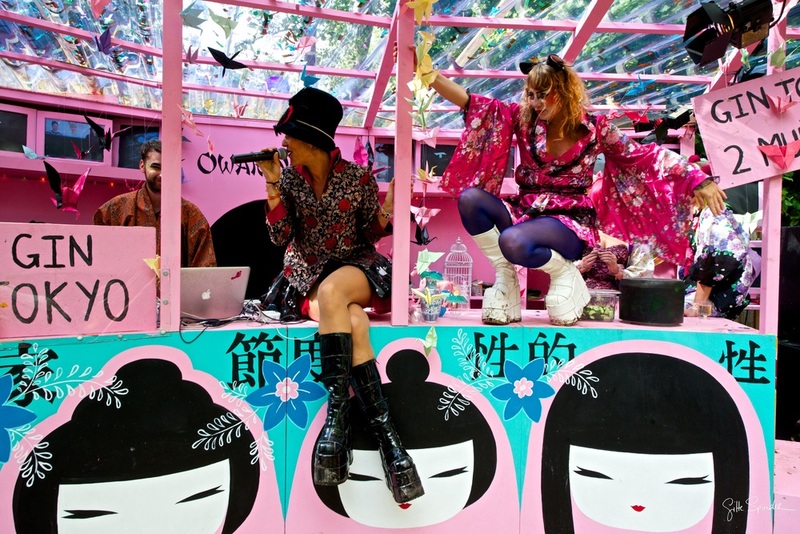 In August, Owari No Nai graced the presence of Mysteryland Holland with plenty of sake, geishas, and intoxicating beats. Hey, we’re actually being modest – there was so much more! Don’t believe us? See for yourself in the mini montage below. Instant bliss. All of those pictures make us anticipate the arrival of Mysteryland even more. Here, we speak to the collective behind last year’s Sin Salida and this year’s Owari No Nai concept. Where did it all begin for your collective? How did you get your start? The Alter Ego collective is a collective of artists, performance, light artists, photographers and we combined this with the creativity of Brandpunt productions which resulted in Sin Salida last year. So to say sort, we are a group of creative friends who want to spread the love of creation. Describe the Owari No Nai concept in 5 words. Music, art, transform, wonder, [and] experiment. What does Woodstock ’69 mean to your collective? This is where the festival culture that is now so big all started. The love and freedom is an inspiration. What’s one thing Mysteryland fans would be surprised to know about Owari No Nai? Can you give us a hint about what your collective is planning for Mysteryland 2015?